The National Refinery at Marietta, Ohio. I am looking for information about the refinery at Marietta, Ohio. This refinery was acquired in 1906 and closed in 1939 in a new modernization plan. Below are 4 photos from the Marietta refinery. 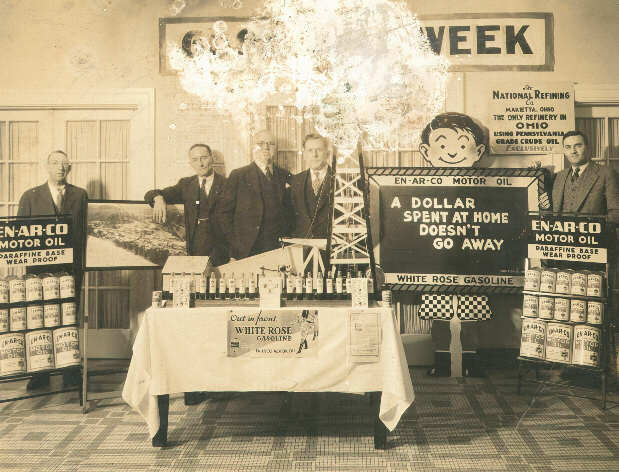 They are from the collection of R. Bergen, son of the superintendent of the National Refinery when it was in operation. The scans were made by Rick Brown and kindly submitted to me for use here. Thanks go to both Mr. Bergen and Mr. Brown for sharing these with us. 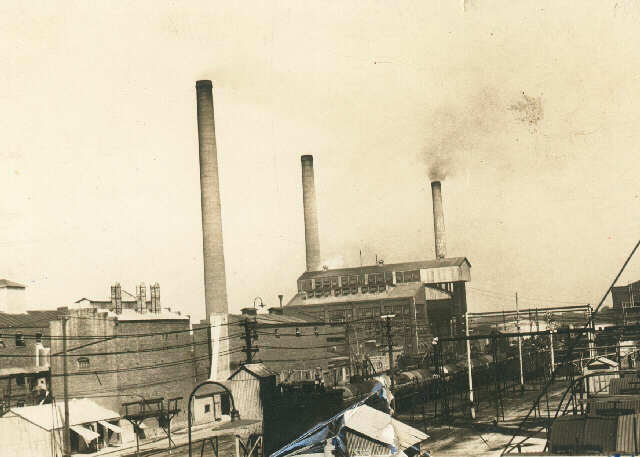 Refinery circa 1920's, courtesy Bergen collection. 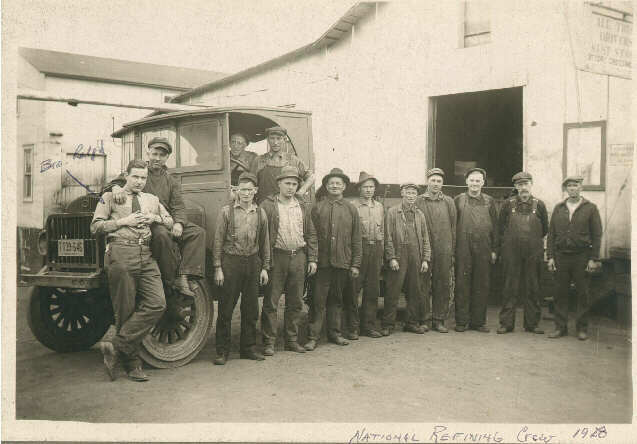 Refining Crew 1928, courtesy Bergen collection. Parade for an opening circa 1920's, courtesy Bergen collection. Sales meeting circa 1930's, courtesy Bergen collection. 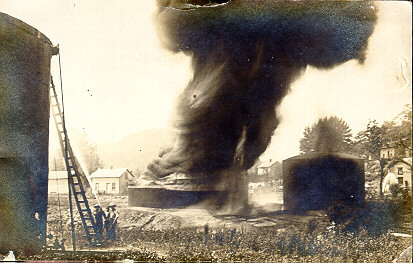 This is a postcard view of a fire at the refinery at Marietta, postmarked 1908. View of Marietta Refinery, courtesy Dan Griggs. 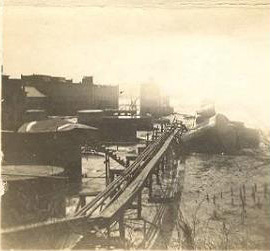 National Oil Refinery, Marietta, Ohio - after 51.6 feet of water - March 16, 1907. Watch for more photos and articles coming soon.